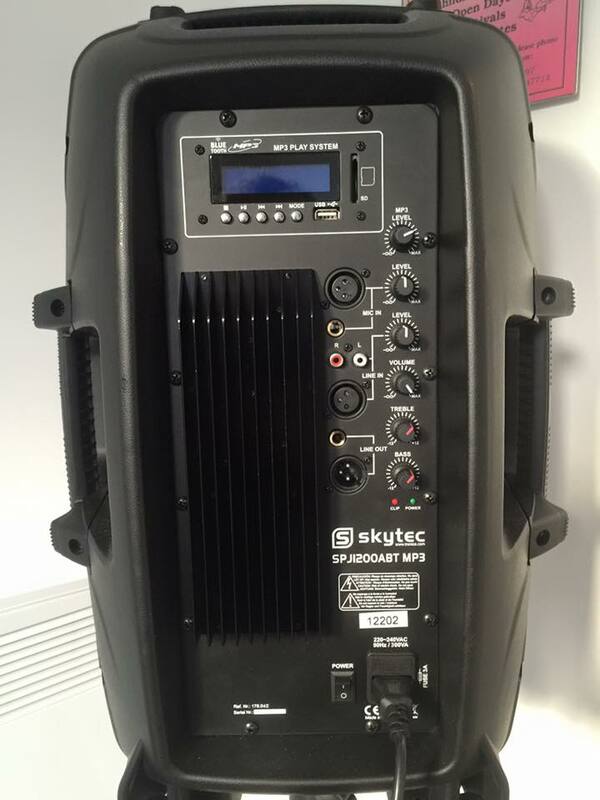 Skytec speaker with Bluetooth and MP3 player. 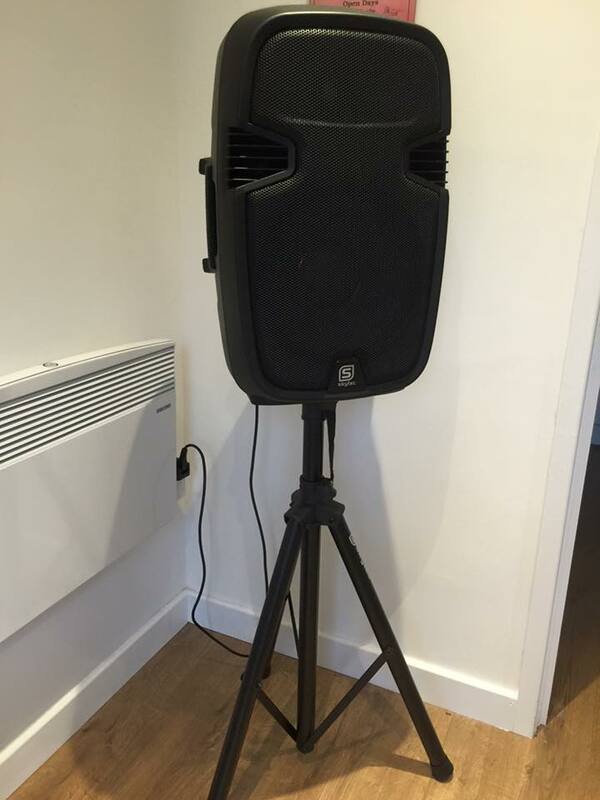 Available to hire for any event whether it be a Birthday Party or School Fete and can be used in Bars, Restaurants, Conference rooms and on Stages. 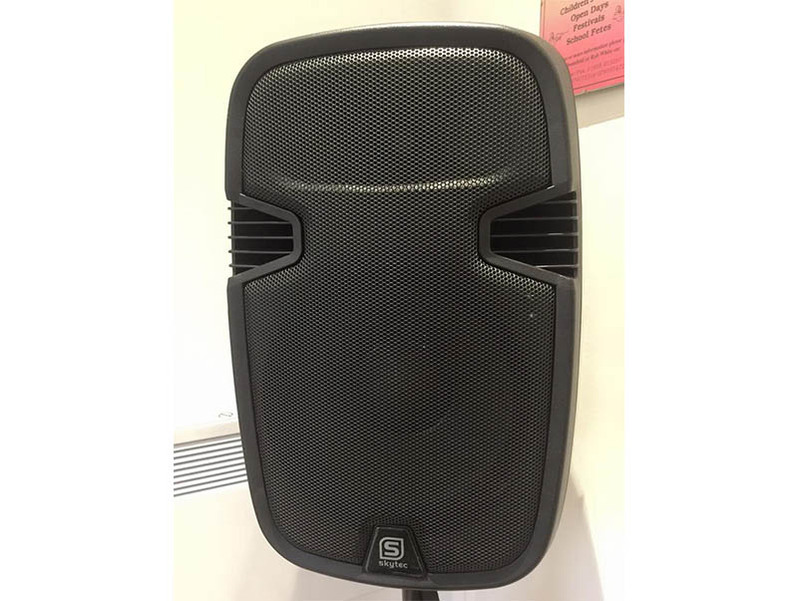 This Skytec speaker features a high quality 600W speaker and is compatible with Bluetooth/MP3/USB stick or SD card. You simply supply the music and you're ready to go. Comes complete with tripod stand and operating instructions and can even be controlled via remote.